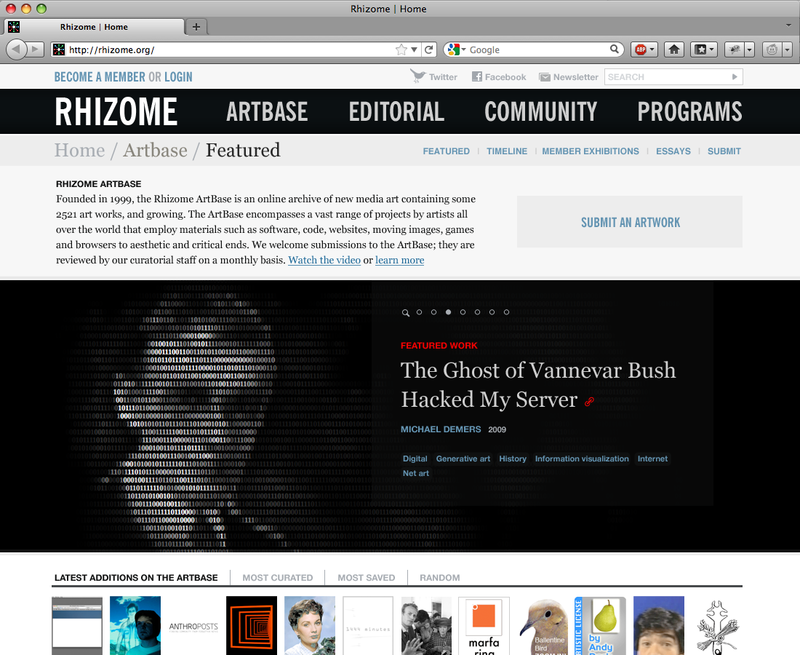 Rhizome is dedicated to the creation, presentation, preservation, and critique of emerging artistic practices that engage technology. 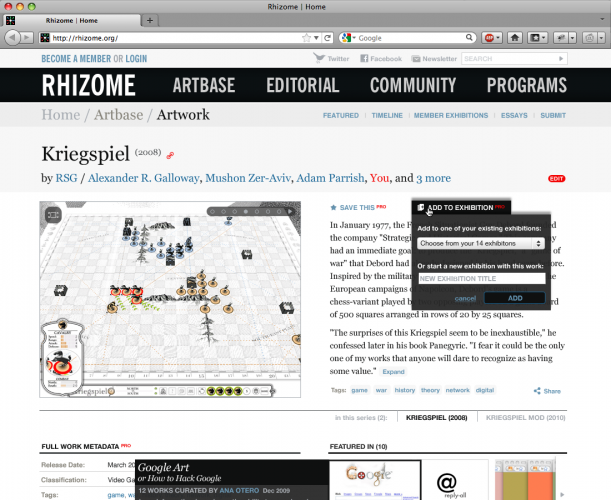 Shual was hired to perform a ground up interaction and visual redesign for the Rhizome website and the Rhizome Artbase. 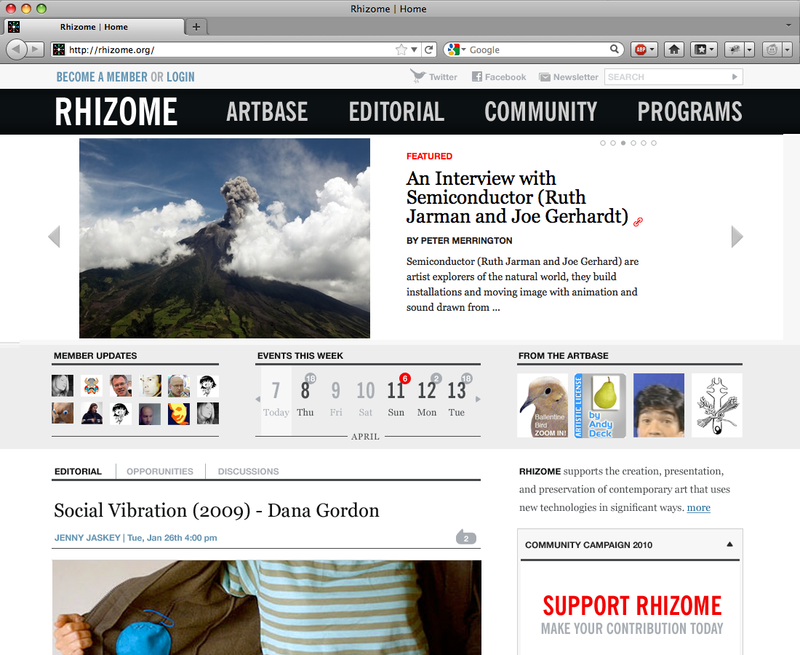 As a part of the redesign work we have consulted Rhizome on renewing its membership strategy and devised new community incentives to cater to a more up-to-date social web culture. 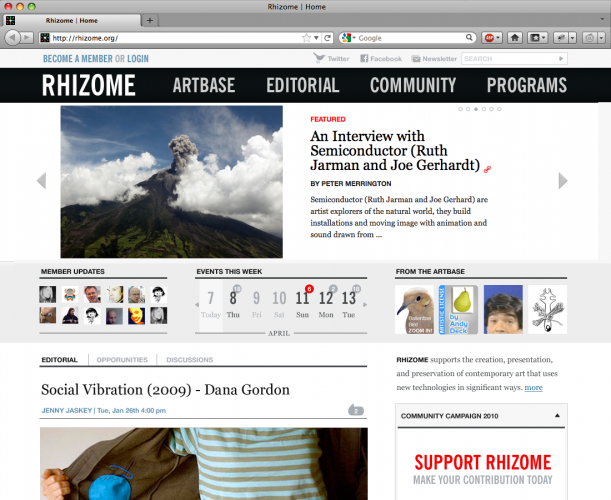 Rhizome has been around since 1996 and redesigning it after 15 years of existence was a great privilege. 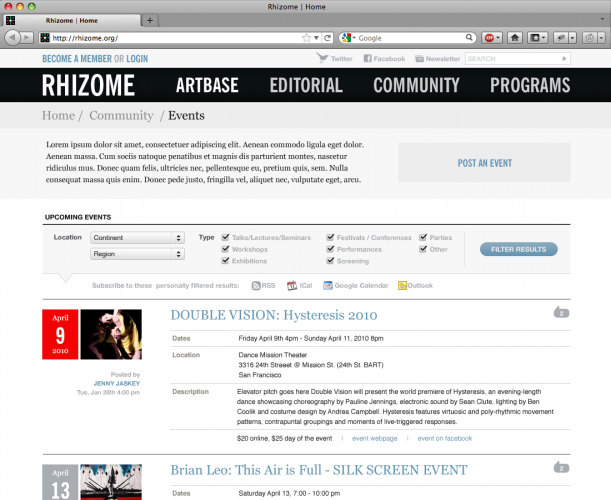 Design assistance by Ed Nacional.